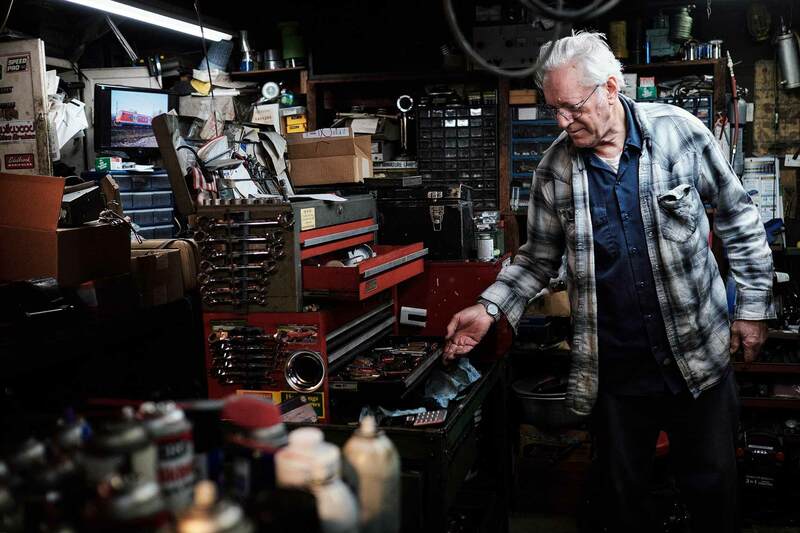 "I don't like new things," says Klaus, working in his garage where he restores and maintains classic cars. "I'm probably the most conservative guy you're gonna meet," he claims, though he doesn't think much of Donald Trump: "Too much mouth," Klaus says. "He don't have any manners either. He claims to be a Christian, too, but I don't know about that. You don't call people stupid, liars, downgrade them."